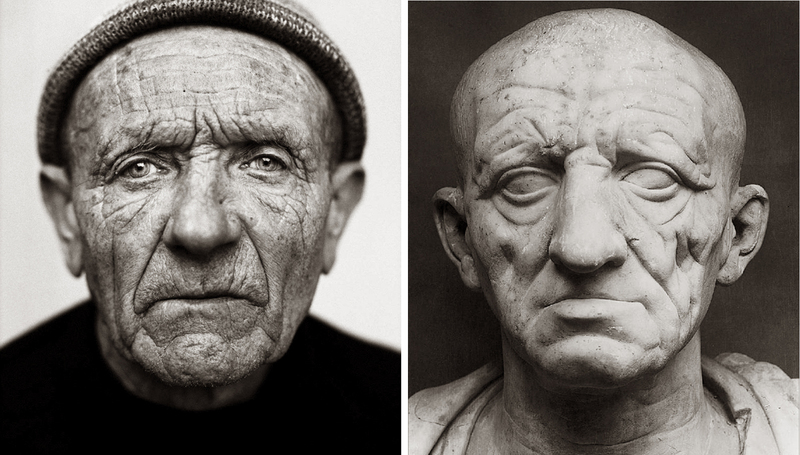 Which of these portraits is more realistic? The photograph is in black and white; reality is in color. The photograph is flat; reality is rounded. If you walked around to the back of the photograph, you would not find the back of this man’s head; in reality, you would. Further, the photograph is rectangular and framed by its edges; reality has no such frame. Looking at a photograph, we hardly notice the frame. The sculpture is three-dimensional, which might give it a leg up on the photo, but the sculpture is also monochromatic. Worse, it has no pupils in the eyes, which makes it a little eerie. True, you can walk around to its back and see the rest of its tonsure, but that hair is stone, which is unlike real hair, except during the ’50s, when hairspray lacquered the head down into something brittle. Take its temperature, and it will not be 98.6, but room temperature. Neither the photo nor the bust has a body attached, which would be very uncomfortable in real life. The fact is, that both forms of art are highly conventionalized. We take them as “realistic,” when, in fact, they are merely conventional. We tend to let our conventions fall invisible; we hardly notice them. The photograph might be an 8X10 glossy, but the head in the photo would be miniature compared to the man’s real head. How is a tiny figure on a flat piece of paper said to be realistic? You can fit a whole city on an 8X10 glossy; try that with the real Philadelphia. The only way to do that is to accept the conventions and then let the disappear. You can go on listing unrealities: The photo and bust are motionless. The men portrayed most certainly were not. They also made sounds — I’m sure they they each spoke to their portraitists while they were being immortalized. And they probably had characteristic smells about them. More, they each had thoughts that cannot be read in the images. Yet, compared to a Picasso painting, we take these as realistic images. We ignore all the counter-indications and lock on to the few things we wish to accept. Even a Duane Hanson sculpture, which might fool us as we first enter the gallery, eventually gives itself away by never moving. Every culture has these conventions. Consider the standard ancient Egyptian figure, turned into contortions so that we see both arms and both feet, yet the head turns profile because we need to know the nose sticks out from the face. 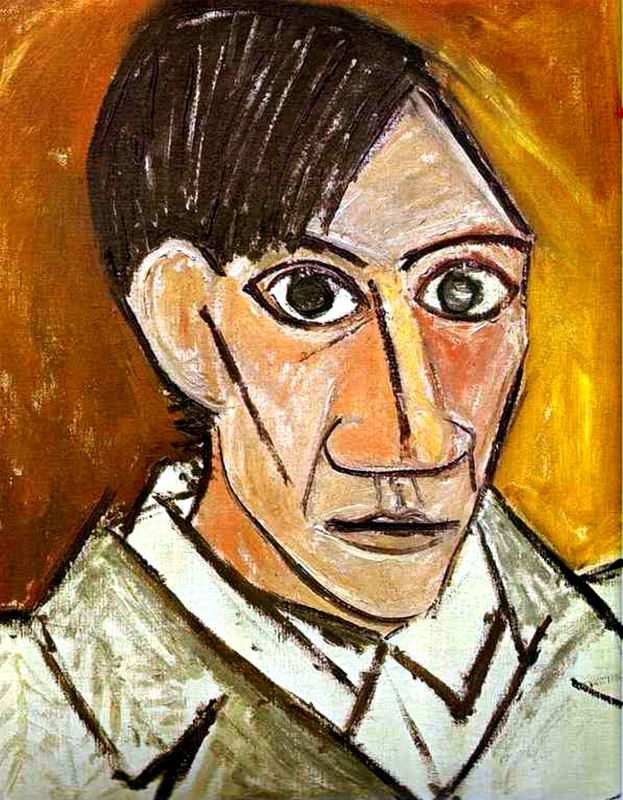 Somehow, though, the eye is drawn as if head-on. The convention insists on things we know — like two arms and two legs — rather than things we see — like foreshortening and overlapping. To an Egyptian in the Middle Kingdom, a foreshortened figure would simply be “not true,” since it would obscure facts we know — like two arms and two legs. 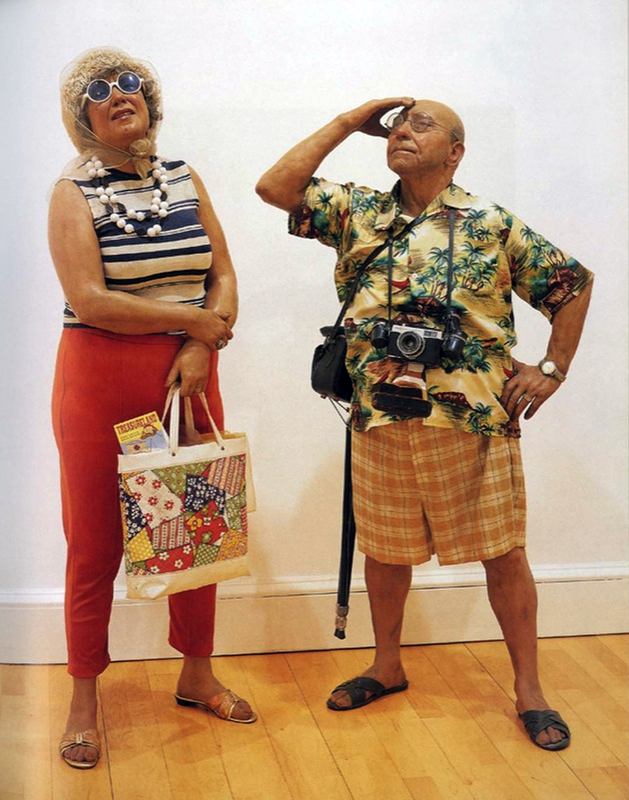 Or consider a cultural convention that seems to Western eyes truly bizarre — or at least comic. In the Japanese woodblock print, images of popular actors were often portrayed in the Mie Pose, which means giving them crossed eyes. 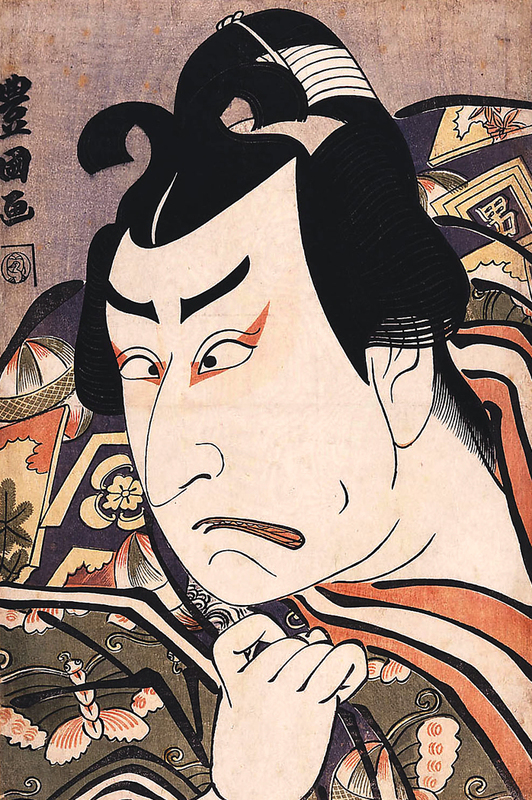 To us, crossed eyes are silly, but in the Ukiyo-e tradition, they express extreme emotion. Those images were hugely popular in the 18th and 19th centuries — the equivalent of the Farrah poster from the 1970s, with its own conventional gesture and hairdo. There are the conventions of Precolumbian cultures and the wonderful circle-and-dot conventions of Northwest Coast Native American cultures. Each is a way of transposing the living, breathing world into a two- or three-dimensional image that can be understood to embody some version of that world. For us to accept the black-and-white photograph as a realistic depiction of our world, we have to accept and then forget the many conventions behind it. But it is not merely art that conventionalizes our sense of the world. Many of the things we take for granted are not rooted in reality or necessity, but are purely conventional. Twenty-four hours in a day? Seven days in a week? 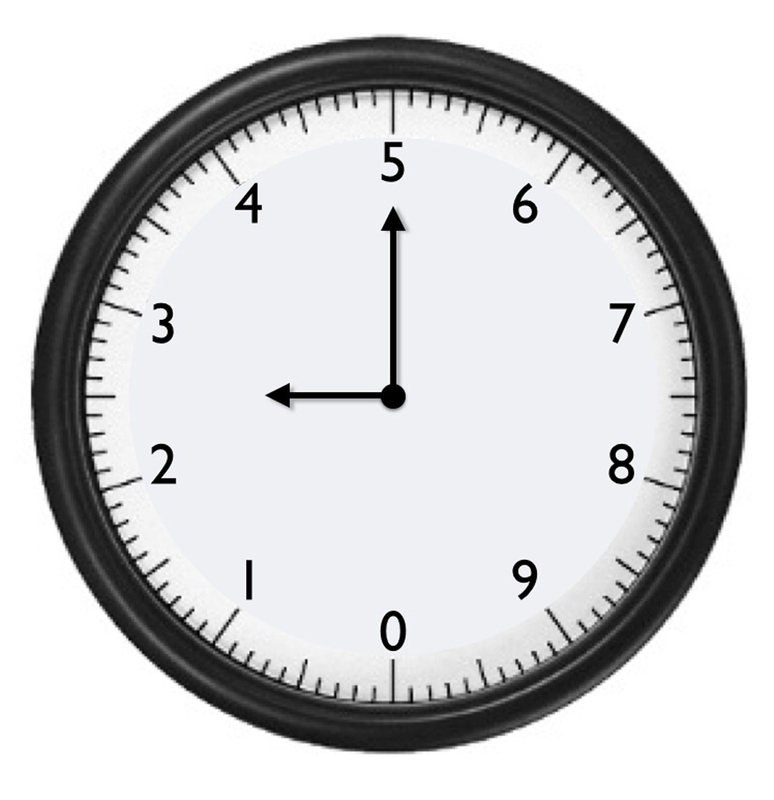 There is no good reason, other than convention, that the clock and calendar could not be decimalized, like so many other measurements we now know. A 10-hour day just requires a clock notched out in a new way. Give those extended hours 100 minutes each. Fine. There is nothing about time that requires the division of the day and night into 24. Or a 10-day week, leaving us with a year of 36-and-a-half weeks. There is a lunar and sidereal cycle, but our current conventions don’t actually match up to them, so convention trumps astronomy on the calendar. I am not suggesting we change our clocks and calendars; convention works just fine. But I am saying we should recognize them merely as conventions. If Ramadan moves around our Julian calendar like a slipped clutch, that’s fine: It’s merely another convention. We are used to seeing North at the top of a map. How disorienting it can be to see a Medieval map which puts South at the top. Suits and ties? Convention. Lipstick? Convention. Men in pants, women in skirts? Convention. Just picture Amelia Earhart in jodhpurs standing next to Sean Connery in a kilt. Where are the bloomers and bustles of yesteryear? Conventions change. Our version of marriage? Convention. There are other ways of organizing families. History is full of them. Patriarchy? Convention. There are perfectly successful matriarchies in the world. The names of colors are conventional. We could divide and subdivide the spectrum in other ways. Different cultures, in fact, do divide them differently. The same way we think of pink and red as different colors, Russians think of dark and light blue, and have different names for them: Siniy and Goluboy. We could easily make a distinction between “sea green” and “leaf green” and give them distinct names. Why do we eat off round places with knives and forks? 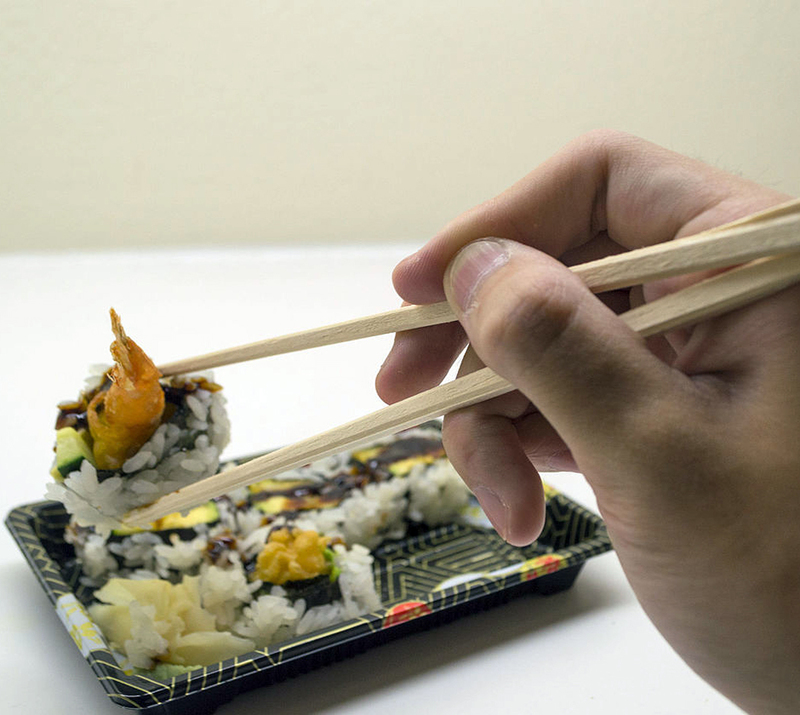 Other cultures favor square plates or chopsticks. Three meals a day? Not nutritionally determined. Four does for some; two for others. Compare the French croissant and coffee in the morning with the full English breakfast. Our houses have front and back doors. 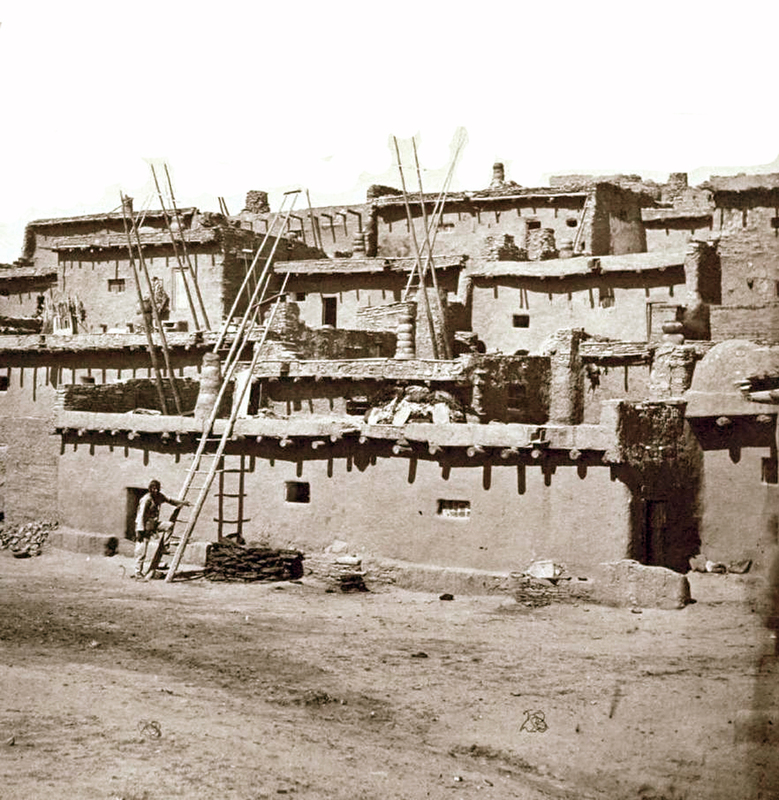 Ancient Puebloan people did without doors altogether and clambered into their homes from their roofs down ladders. Poems used to rhyme. Works great in Italian, with all those vowels, a bit harder in English, unknown in most cultures, which may value metrical rules over rhyme, or alliteration instead. Driving on the right in the U.S.? On the left in the U.K.? Switching from one to the other in Sweden? We each of us has in our mind a pattern of how we think the world is organized and constructed. Sometimes called the “Umwelt,” it is partly constructed from the ineluctable constraints of reality, such as gravity, light, day, night, hunger, thirst, the horizon and the wetness of the sea — and the rest is made up of convention. We seldom make a distinction between the two, and take the weekend for as natural a thing as we take ripening fruit. This model of the universe does not feel learned, the way laws have to be learned, but are taken as the natural state of the world. The problem lies when we make prescriptive demands on others based on our private Umwelt. It is what feeds racism, for instance. When you have an internal model of the world that sees one race as superior or inferior, you then create laws requiring others to act according you your inner light (or lack of light). Yet, as we have seen, a good deal of this inner model is nothing but convention. It might be good to examine everything we believe with some skepticism.